Musician, Actor, Director, and Playwright. Bill Feehely grew up in North Plainfield NJ where he started playing music at the age of nine. After college and Graduate School at Rutgers University where he received a MFA in Acting, Bill moved to New York City. In New York, Bill enjoyed a career as both an actor and director. He won “Best Emerging” artist from the Bleeker Street Cafe and garnered interest in his songwriting from A&M and Warner records. He and Larry Hornung formed a band “The Ranchers” which performed throughout the New York area. 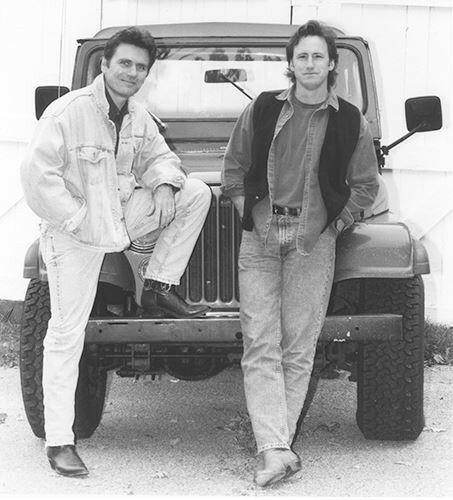 In 1993, after interest from major publishing companies, Bill and his partner moved to Nashville. He realized pretty quickly that he did not fit the Nashville mode and took a left turn by starting a successful professional theatre company called Actors Bridge. He performed in and directed close to 75 plays, but writing remained in his blood. In 1998 he penned a successful musical called American Duet with “Grammy winning songwriter Marcus Hummon which starred Darius Rucker. He collaborated on subsequent musicals while at the same time becoming a professor at Belmont University. Bill recently retired from teaching and went into the studio with his producer and “best friend for life” Celeste Krenz to record "Lucky Struck” and “Money and Love,” mixing Americana with the best of Nashville music. “Lucky Struck was a labor of love featuring the legendary Dan Dugmore and a host of the finest musicians in Nashville. Dugmore is a Nashville legend playing steel guitarist for Linda Ronstadt, James Taylor and many other music icons. Bill is touring with the release of the album "Money and Love" as well as working on a new musical with songwriters Julie Forrester and Kirsti Manna, writers for Reba McIntire’s publishing company, Starstruck.